I love my donabe life. 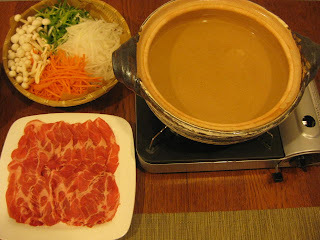 We did easy and healty shabu shabu with donabe at home the other night. 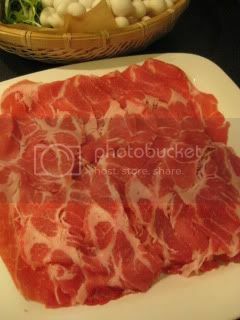 I got the nice kurobuta pork slices, so it was a kurobuta shabu shabu night! First thing you want to do is to get the dashi ready. 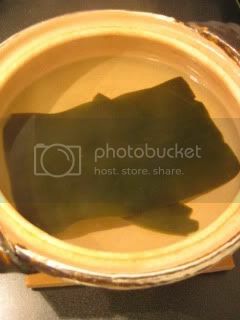 For shabu shabu, you put a large piece of dashi konbu (dried kelp for dashi stock) with water in donabe. The kelp expands really wide once it's reconstituted. Ideally, for the better broth, you want to soak it for about 2 hours. But, if you don't have time, 30 minutes of soaking is fine. 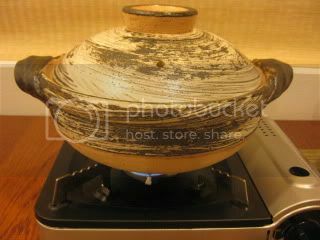 Then, you can put the donabe over portable burner at the table over medium-heat. 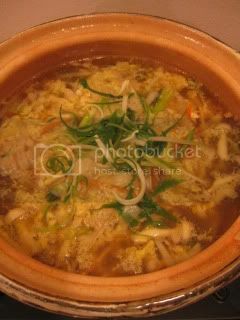 Once the broth is close to boiling, remove the konbu. While heating the broth, I prepared the ingredients for dipping. I took very short time. 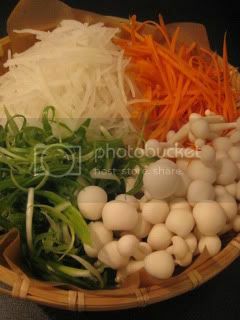 I got the kurobuta pork slices, and thinly shredded daikon radish, carrots, scallion, and white shimeji mushrooms. 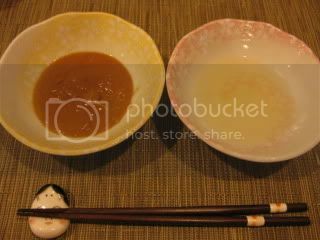 I normally serve two kinds of dipping sauces for shabu shabu to enjoy variation. Tonight was ginger-miso sauce, and salt ponzu. Once everything is ready on the table, it was time to start cooking. I first put the vegetables, followed by the pork. 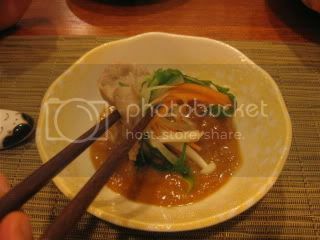 Once pork was cooked, I took both the meat and vegetables together and dipped in the sauce. 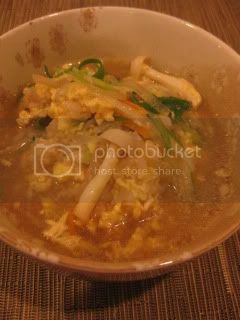 The end of the meal was zosui (Japanese-style soup risotto)! After cooking so much meat and vegetables, the broth becomes so rich in flavor, so it's always nice to take advantage of it and cook the rice or noodles in it at the end of the meal. I seasoned the broth with a little amount of soy sauce and salt, then put the cooked rice and eggs. Then, let it cook with the lid on. After a few minutes, there was a wonderful zosui. 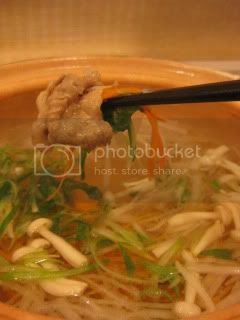 What a delicious meal with donabe! New Donabe from Iga, Japan - Now Available!